Don't worry, it'll have a Disney Parks Play App experience, where you can view a digital and easy to read version of the clock. An AR version of the clock would be cool. I understand your points but I can't agree with them. Big Thunder and Splash became instant classics and it's hard to imagine the park without them. Space is limited so they were going to have to use the Splash Mountain pad one way or another. And as far as Big Thunder goes, I think that was a major plus. I think Indy is a terrific attraction and was a very creative use of otherwise unused space. The castle walkthrough adds another small unique experience to the park that we otherwise would not have, and I actually love Fantasyland. It feels really timeless to me, and I believe I read somewhere that Walt himself wasn't happy with the original version. Not trying to call you out but I feel as though Tony Baxter has substantially improved the park in various ways and it's sad that creativity like his is less prevalent now. My post was satirical. I'm a huge fan of Baxter and his work- Splash Mountain is my favorite attraction and his others are up there. Just about everything he's done for Disneyland has improved it- Tomorrowland '98 stands out as his major mishap- but even that had a number of corporate issues that hindered the creative work. Wowwwww that totally went over my head! Usually I'm good at detecting satire but that was impressive! My apologies. Probably could have added some emoji or something to make it more clear. I just want the world clock back. Turn Astro Oribitor into an elaborate clock. Every body wins. What are those bubble things? LED light projectors along the PM track that project light onto the buildings at night. The long focal length of the shot makes them look close together. They run about 15 feet apart along the track as seen in this photo. I’m telling you right now the Orbitor is as good as gone. Losing the capacity to open up that major bottleneck is a good trade off. They've removed these rides when repairing them in the past. It doesn't mean it's being permanently removed. The last time they did the one in Florida, all that was left was the Deep Space Nine-esque outer ring. They're like carnival rides with spinning globes that are usually broken anyway. They've removed these rides when repairing them in the past. It doesn't mean it's being permanently removed. The last time they did the one in Florida, all that was left was the Deep Space Nine-esque outer ring. Don’t rain on my parade. Last time in Florida they weren’t in the middle of Project Stardust with SWL opening in a few months. Also, last time, Florida wasn’t Disneyland in California. Obviously the odds are that you are right but I have reason to believe it going away is a strong possibility based on the timing. The signs on the construction wall surrounding it say it's gonna relaunch in the spring. I think it's just getting a thorough refurb. But dang, that entrance looks way better without it. It'll come back looking like Star Jets. When Super Star Limo closed permanently, we all assumed and hoped it was just being refurbished. Getting rid of the rocks and moving/removing the Orbitor is a no-brainer for fixing one of the park’s worst pinch-points, but hey, let’s just keep shaving corners on planters and curbs. 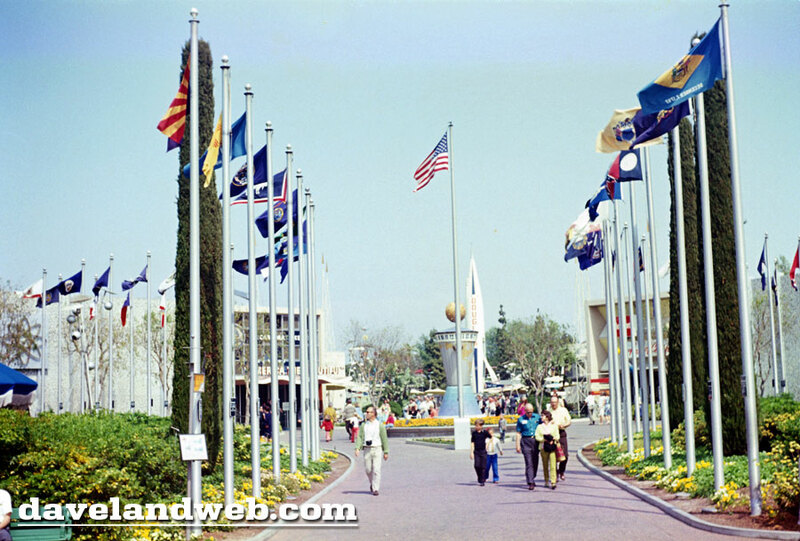 Since I was born in the late '90s, current Tomorrowland is all I've ever known. Seeing photos of what once was is heartbreaking. Just imagine how it was seeing it in person and then seeing the changes.